Would you like to develop your style, expression and creativity even further? Then art & performance is definitely recommended for you! Click on one of the categories to read more. At the Just Dance class, we try out dances from all over the world. We’ll work on cool moves, attitude, energy, dynamics and technique in genres like: Hip-hop, show dance, jazz, street-dance and modern dance. A lesson consists of 1 hour of warmup, technique and choreography. We will dance to music while challenging ourselves to develop. Would you like to construct your own dances? Challenge your creativity? Try out something new? Assemble your own unique moves and compositions? Then the choreography class is for you! In the class we’ll work with exercises and methods (in groups and individually) that will introduce new ideas and inspiration to your dance compositions. The choreography class will consist of different warm-ups, techniques, ideas and performance of your choreography. Read more about time and location via the sign-up button. 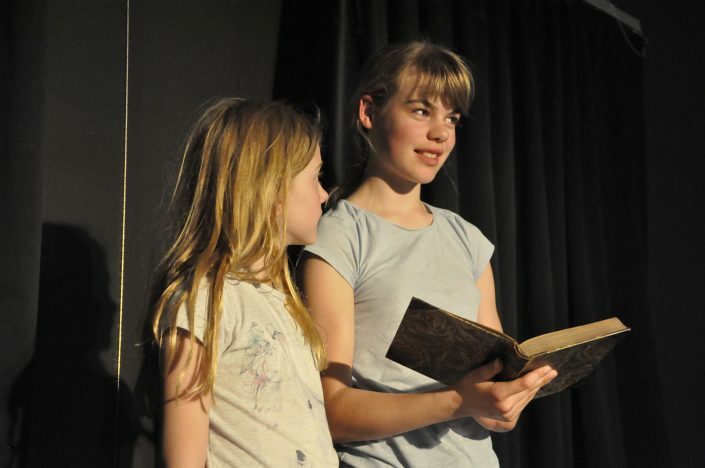 Do you dream of becoming an actor? Then the drama class is definitely recommended for you! 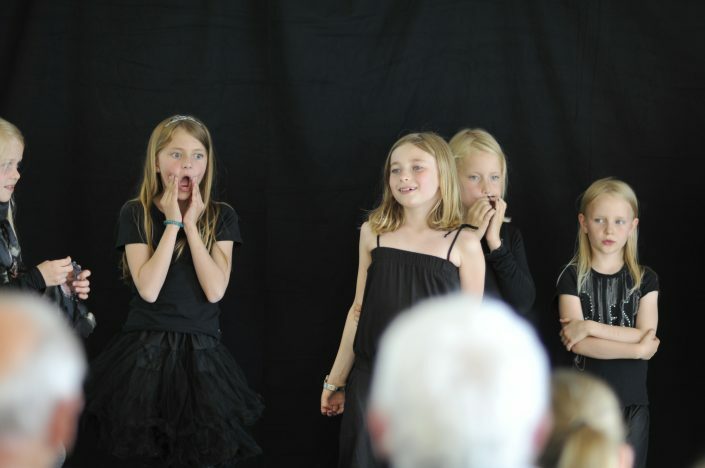 We work with the different techniques and forms of acting through fun exercises. Together, we’ll create a community full of tales, stories and funny costumes. We conclude with one or more performances, where you show what you’ve learned. The class are available for pupils in 3rd grade and up. Though, the classes are divided by age. We play around with art with passion and joy. We experiment with paintings, drawings, collages, sculptures and we’ll work with colors, materials and many different techniques. We will also participate in exciting local projects, where we will display our art. KunstKID is an art class, where we draw, paint, form and express ourselves. We will study, explore and experiment with different artistic forms of expression and techniques. KunstKID is for everyone between 2nd and 6th grade (including 6th grade). In the ARTlab, we’ll study the ways of art and get inspired from different artists, works and techniques. You will work with different forms of expression, while exploring new, fun and challenging way to draw, paint and form. Classes with the artist Anna Risum. We’re exploring the endless opportunities of drawings. We will work with (liquid) colors, pens, chalk, feathers… basically anything, that can be used to draw. We will draw by inspiration and imagination, with open and closed eyes. You’re not required to be experienced at drawing, but you have to be motivated. 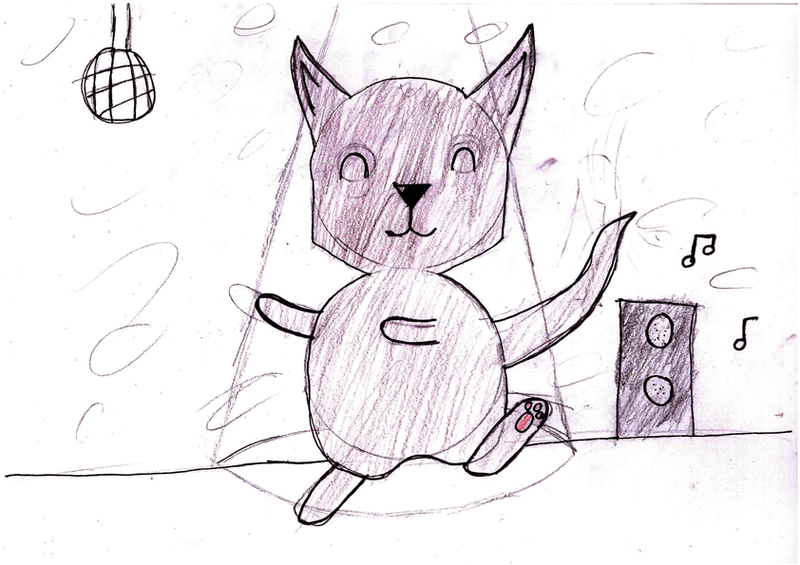 Drawing-Exploratorium is for 4th – 6th grade. It begins in week 43 up to and including week 12. Give your child the opportunity of art! Over the course of 5 Sundays, you can spend time with your child or grandchild in a world of art. You will work with drawing, painting, sculptures and collages. Along with artist Gitte Evers, we will experiment with funny and crazy ideas in different materials. Location: We meet at Niels Ebbesen Skolen in the art room. Everyone between the age of 6 – 100 are welcome! Are you interested in becoming a journalist? Do you love to write? Take pictures and make videos? Tell an exciting story to the world? Then Kulturskolen’s media course is definitely recommended for you! Qualifications: Curiosity and motivation to tell and produce stories. We are exploring new and creative expressions. Effects like masks can contribute to the setting of the story and further express the emotions. We are including everything, facepainting, wax, latex, fake blood and makeup, when we work with the performers and the scenic expression! We will implement elements and effects, that can support many different kinds of plays. We’re going to dress up as witches, avatars, elves, clowns, trolls, zombies and many more! 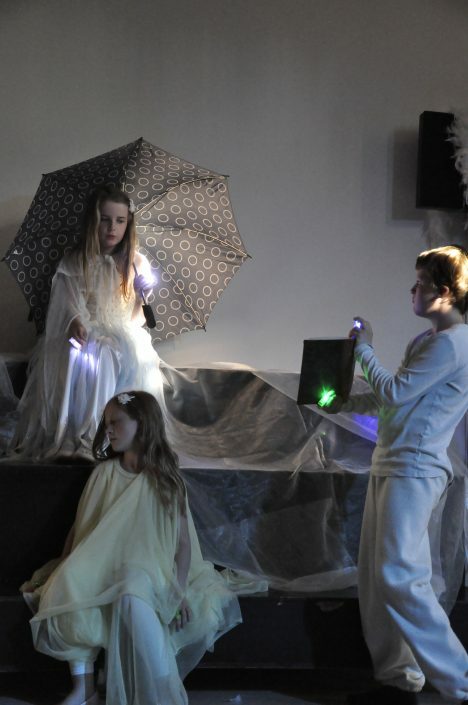 If you have an interest in drama, dancing, music, film production or other kinds of performances, this is for you! Classics: Clown – Mime – Man/woman and Woman/man – Futuristic characters. Film and theatre classics: Trolls – Villains (fx. Darth vader) – Avatar – Lion King. Ages: The Renaissance – Egypt (Cleapatra) – Punk – 1920 to 1980. Halloween: Zombie – Dracula – Scary dolls – Witches. Shrovetide: Masks – Alice in Wonderland -self-made characters. Christmas: Elves – Pixies – ‘Nightmare Before Christmas’ theme – ‘Beetlejuice’ theme. We’re also going through genres, which can be relevant for certain shows. Stardust: Elves – Magical creatures – Animals – Insects – Birds – Phoenix – Reptiles – Dragons. 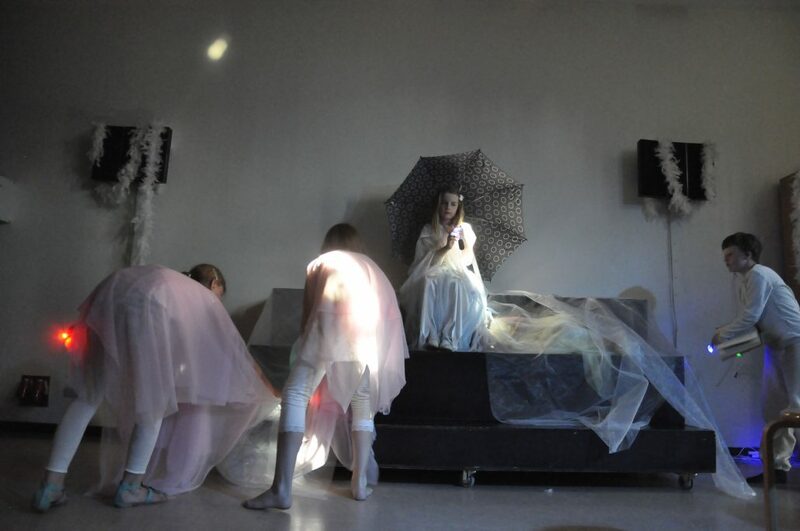 Avant-garde: The students create a self-made story and expression. In this class, we will begin learning basic and fundamental drawing techniques. There will be exercises with figures, expression, space and style. You will also get the opportunity to create your own cartoon. Though, we will begin with an introduction in creation of ideas and layout. Thereupon, we will work on the development of storytelling and artwork. Gather all your creative and funny ideas. Are you interested in working with needles, threads, fabric and colors? Here’s your opportunity. We’re going to sew, cut, embroider, decorate, create patterns, redesign, knit, crochet and much more. Other offers for schools, institutions and partners. Kullerklubben at Kulturskolen is open every Wednesday from 19:00 to 20:45 for all pupils and their friends! This is a place to hang out, write lyrics, paint and draw, produce music, dance, play music with your friends and meet many new people. Maybe you’re interested in joining a band? In need of a piano to practice on? Or practice with your friends? Maybe you’re already a part of a band – Kullerklubben is yours to use! There will always be some of Kulturskolen’s teachers nearby to answer your questions, when Kullerklubben is open. It is free for both pupils and friends. 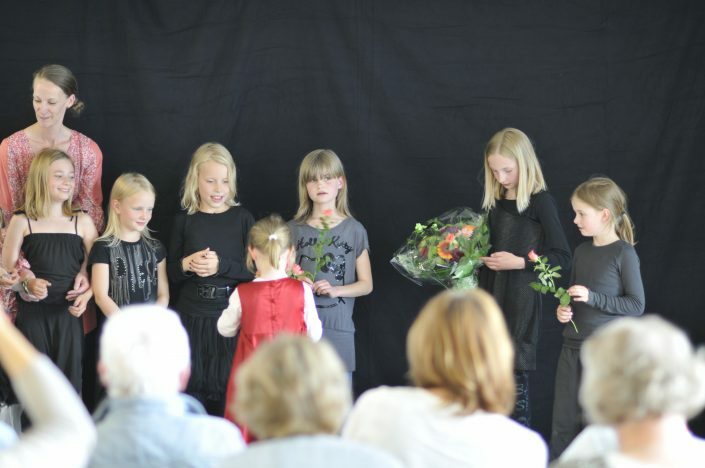 The Performance Course is for those pupils, who already have dance and drama lessons at Kulturskolen. It is for the pupils, who are motivated to learn and improve in dancing or acting, and want to be with other pupils, with the same interests. At the Performance Course, you will get an additional 60 minutes of lessons every week. In the lessons, we’ll switch between dancing and acting. We are focused on techniques and motion. 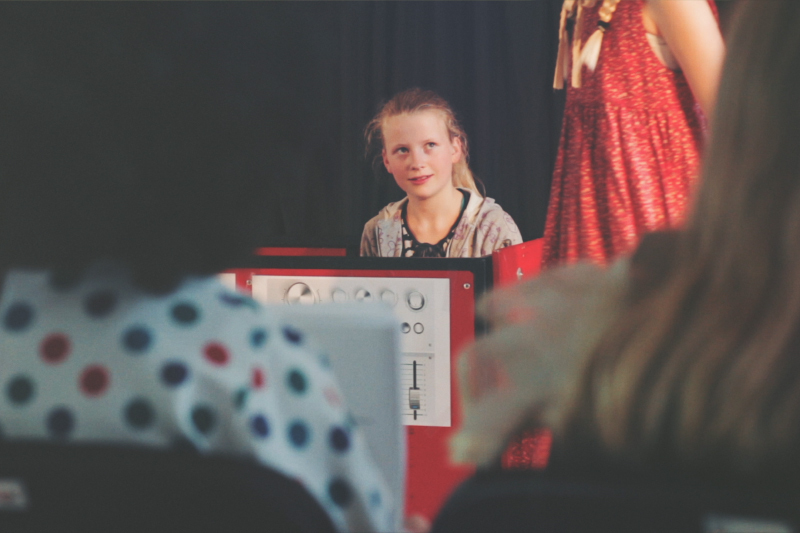 We work with different forms of expression, which strengthens the individual pupil in their major subject. During the year, you will have the opportunity to perform in many different shows, including a show in cooperation with one of the music classes. How to get admitted in the Performance Course? Your teacher will recommend it to you. Thereupon, you can sign up here. 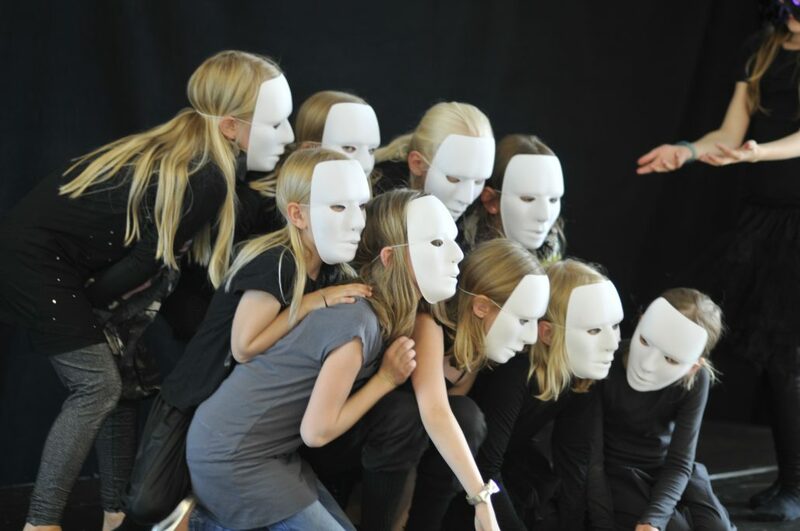 The Performance Course is for those pupils, who already have dance and drama lessons at Kulturskolen. It is for the pupils, who are motivated to learn and improve in dancing or acting, and want to be with other pupils with the same interests.